If before the creation, God had planned everything from A to Z of the life on the earth since it's created until the end of day and every life of each individual from A to Z since he/she was born until he/she dies and who is going to hell/heaven - then what does it mean "omniscience" ? I mean, a movie maker - based on his scenario story, while he himself also as the actor in that movie, when he is about to start the making of the movie - before he show the story to other actors, isn't he can be called "omniscience" ? The movie maker there is more like a puppet master, how the other actors respond is staged by him. In the scenario the movie maker WhatsApp actor-A : hi, where are you now ? Then he himself stage the respond from actor-A in WA : I'm in the kitchen now. God is different. Before the creation, God did not stage actor-A's reply but He knows that actor-A will reply "I heard you in the garden, and I was afraid because I was naked; so I hid." after He ask "where are you ?". when trying to understand it in chronological order - it's still made me think that God doesn't know everything because (before the creation, in His plan) He has to know first that He himself is going to ask "where are you ?" to actor-A, after that then He know how will actor-A respond. So, what does it mean "omniscience" actually ? If I try to connect it with the Election doctrine (Predestination), where between A B C D E God elect B and D which automatically God knows that in the day of judgment A C and E will go to hell, B and D will go to heaven.... then this is more similar to my illustration of the movie maker.... which I think there's no need to have a term "God is omniscience" here, because as the movie maker staged that actor-A will bla3x, actor-B will blu3x at the end of the movie - it's the same thing where God staged B and D will go to heaven, A C and E will go to hell. So, what does it mean "omniscience" and what is the important thing that "God is omniscience" according to the Calvinist ? Furthermore God's omniscience is therefore not constrained to temporal thinking; he knows everything in the present. He has no conflict with what will happen in the future, and the future does not limit him, because for him there is no future - all of existence is now. God's choices happen in the eternal-present and in no way limit him because they are made according to his perfect and infinite nature. But still I can not understand what does it mean of those sentences. How do people illustrate those 3 points above ? First, it would be helpful to just define the term for the sake of clarity. Omniscience means "all-knowing" and this is derived from "omni" which is a prefix taken from Latin meaning "all", and "scientia", from Latin for "knowledge." According to many (perhaps most) Reformed theologians, God has foreknowledge of everything NOT because he somehow looks into the future and "sees" what man will do and acts in response; but He Himself has foreknowledge because He has decreed that certain things will come to pass: he does not decree (act in a certain way) because he foreknows, but He foreknows (knows prior to all human action) because he decrees. He knew from the foundation of the world that the elect would be saved and the reprobate would be damned because He decreed that these things would come to pass. Foreordination in general cannot rest on foreknowledge; for only that which is certain can be foreknown, and only that which is predetermined can be certain. The Almighty and all-sovereign ruler does not govern Himself on the basis of a foreknowledge of things which might haply come to pass. Through the scriptures the divine foreknowledge is ever thought of as dependent on the divine purpose, and God foreknows only because He has pre-determined. His foreknowledge is but a transcript of His will as to what shall come to pass in the future, and the course which the world takes under His providential control is but the execution of His all-embracing plan. The Reformed Doctrine of Predestination, 99. ...all true Arminians believe in predestination, but not in Calvinist foreordination. That is, they believe that God foreknows every person's ultimate and final decision regarding Jesus Christ, and on that basis God predestines people to salvation or damnation. But Arminians do not believe God predetermines or preselects people for either heaven or hell apart from their free acts of accepting or resisting the grace of God. Arminian Theology, 180. We sin because we are sinners. We were born with a sin nature. But Adam and Eve were not created fallen. They had no sin nature. They were good creatures with a free will. Yet they chose to sin. Why? I don't know. Nor have I found anyone yet who does know. In spite of this excruciating problem we must still affirm that God is not the author of sin. Chosen by God, 31. God's causing a man to sin is not sin. There is no law, superior to God, which forbids him to decree sinful acts. Sin presupposes a law, for sin is lawlessness...the laws that God imposes on men do not apply to the divine nature. Reason, Religion, and Revelation, 240. God's omniscience is not retrained to temporal thinking: these aren't necessarily technical terms, but conservative Christian thinkers believe that God's knowledge is not limited by free actions (unless, like certain Calvinists, you don't believe in free actions or define freedom compatibilistically), and God's knowledge is not in any way imposed upon by the passage of time. God does not learn anything new or come to believe something that He once believed false, or vice-versa. God knows everything in the present: this is generally to say that God does not reflect upon any given event as past or future, but is aware of it as a present reality. This is mostly to say that, again, God's omniscience is not restricted by the passage of time. This also is a subject of much debate. God's choices happen in the eternal-present: this is a rather crude metaphor for God's actions and their performance not being defined by our tensed descriptions of time. To say "eternal-present" is like saying "every moment is now" which is a contradiction, which is why God is often described as transcending time, and so His actions are thus "outside" time. The Calvinist position is that God knew before the creation of the world everything that would occur. He also predestined the elect to everlasting life, and foreordained the reprobate to everlasting death. However, humans are not puppets, in that God is neither the author of sin, nor their liberty removed; only in salvation is there a necessary intervention by God to change the nature of man and redeem the elect. quote - "Omnipotent, God's power is infinite, or limitless. Omniscience means all-knowing." One can be all knowing but still be allowing mankind's and people's choices to run their course. One can be all powerful and al-mighty and allow mankind, and people's doings and choices to run their course. Logically, one might do this in order to be teaching something. Humanity is chewing the fruit of knowing (learning, understanding) good from evil. Deuterononomy 30:19 says ".. I have set before you life and death.. therefore choose life" which seems to suggest life and death is the same as good and evil. Calvinism believes God can save all but chooses some. Arminianism says God would save all (choose all) but cannot (due to man's will). Christian Universalism believes God can save all (Calvinism), and will (ultimately) choose and save all. Those called the elect, being ones chosen to come to the faith during this lifetime. More on comparing the three - http://www.auburn.edu/~allenkc/partuniv.html Quote - "All the various denominations of professing Christians may be classed under three heads: Calvinists, Arminians, and Universalists. A chart of the agreement and the difference in the religious opinions of these three classes on the most important doctrines of Christianity may be delineated as follows.."
Not the answer you're looking for? 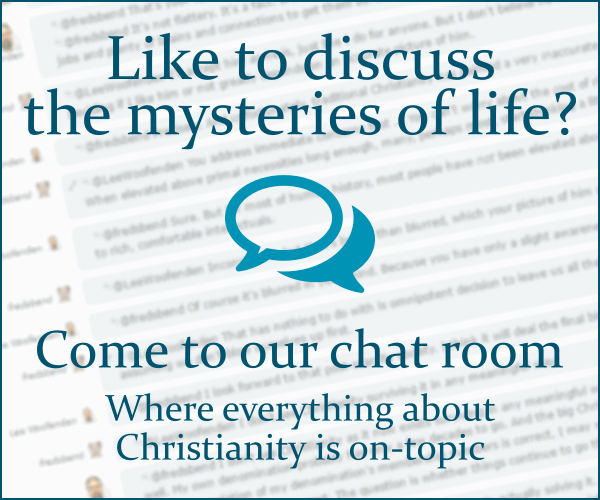 Browse other questions tagged reformed-theology predestination omniscience or ask your own question. How do Christians reconcile God's omnipotence with his omniscience? Who does John 6:40 refer to according to Reformed theology?